In Memory of / Christopher / Who died / May 29, ? / Aged ? yr. & 3 mos. / ? 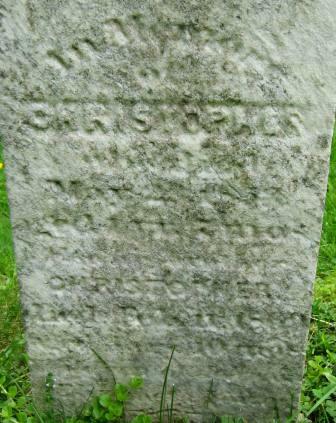 / Christopher / Died Feb. 11, 1869 / Aged 10 mos. / ?